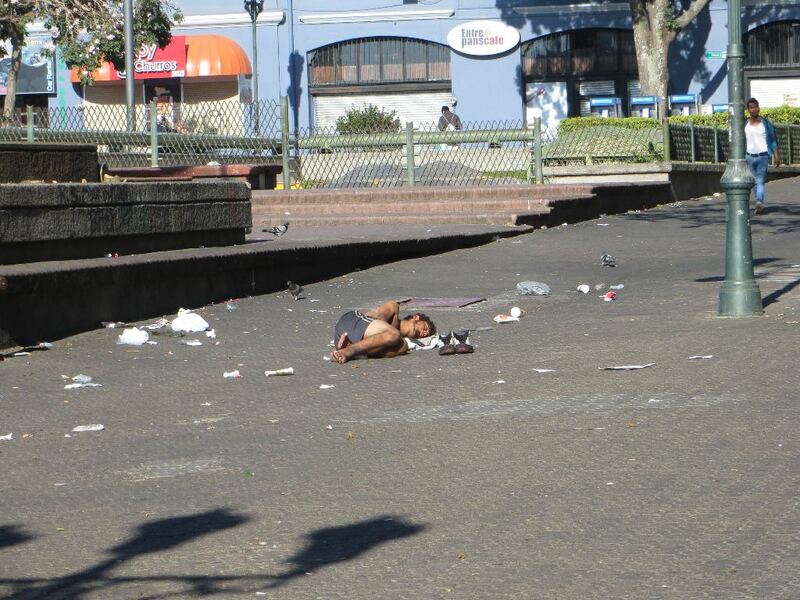 One of San José’s homeless men takes advantage of Holy Week by sleeping unmolested in the middle of Avenida Central at the Plaza de la Cultura. 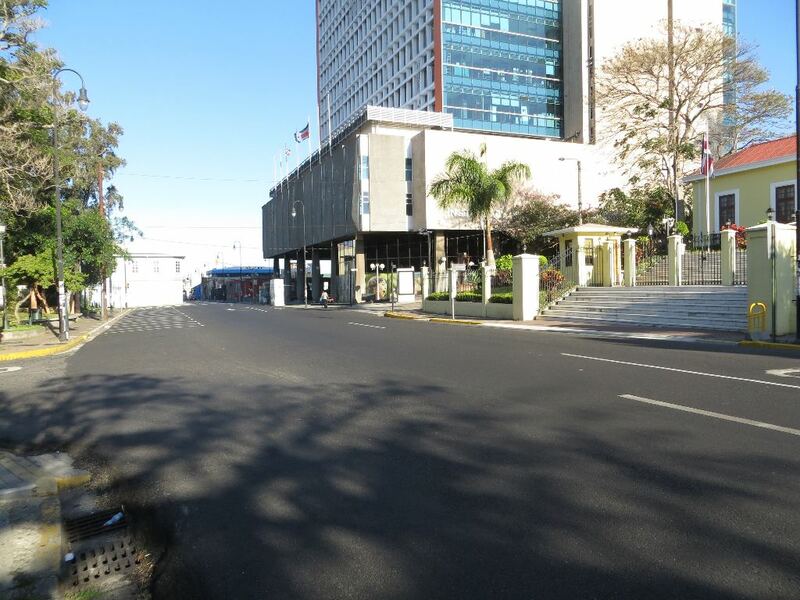 Normally at 7:30 in the morning, this pedestrian walkway would be packed with tens of thousands of Ticos hurrying to work. QCOSTARICA by Michael Miller – International visitors to Costa Rica are sometimes taken aback at how Costa Ricans deal with Semana Santa or Holy Week. This is the week from Palm Sunday through Easter Sunday. In the U. S. the week is hardly noticed, except by those who might attend a religious service, such as The Stations of the Cross on Good Friday at a Catholic Church. Avenida 7 in front of the INS building, the national insurance headquarters, is normally teeming with cars and pedestrians at this hour. But Costa Ricans take it seriously. They leave town. 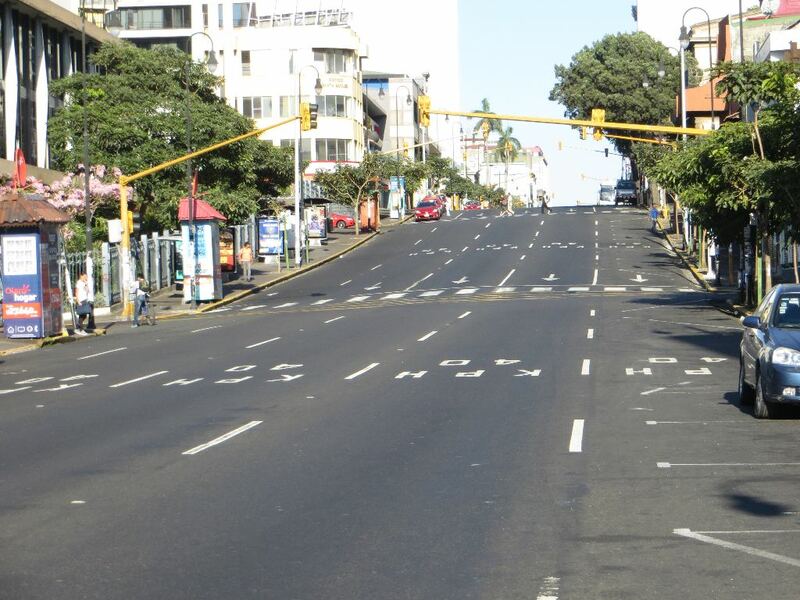 The view in front of Casa Amarilla, the nation’s foreign ministry, shows Avenida 7 virtually deserted. Government offices, banks and most businesses close up shop, many for the entire week. Hundreds of thousands of families from the Central Valley pack into cars and tourist buses, and head to the beach resorts, leaving San José a virtual ghost town. 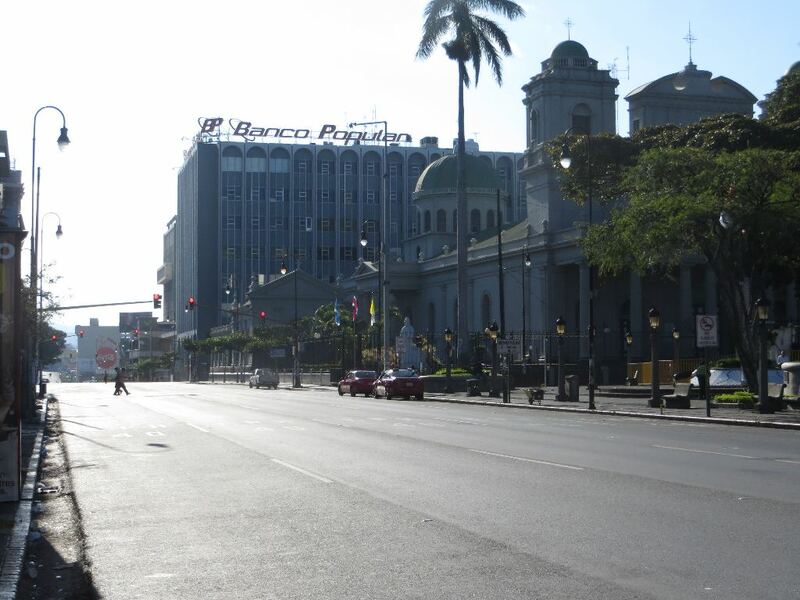 The Cathedral Metropolitana, stands proudly looking out over an uncommonly quiet Second Avenue. These photos were taken on Good Friday morning, between 7 a.m. and 8 a.m. Normally this is part of San José‘s busy and noisy morning rush hour. 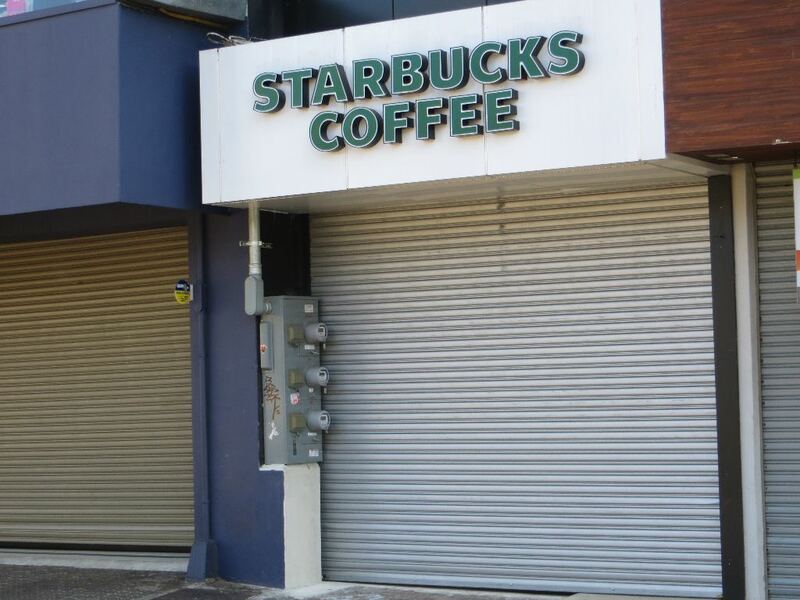 Even Starbucks, which opens at 6 a.m. on weekday mornings to serve coffee to the thousands of commuters, is shuttered. Michael Miller is the author of the first and only guidebook that focuses on Downtown San José, Costa Rica, titled: The Real San José. 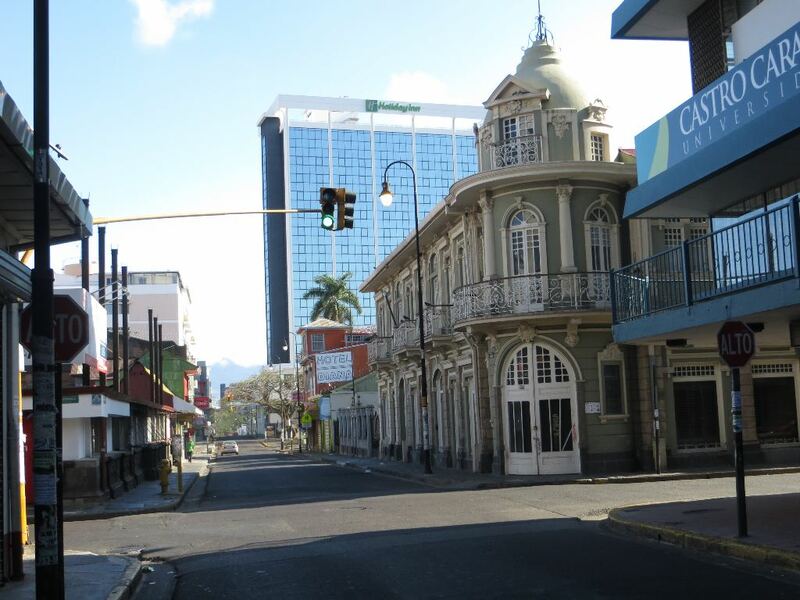 Familiar downtown views, such as this shot of Calle 5 showing buildings both old and the new, show a rare scene with almost no traffic. 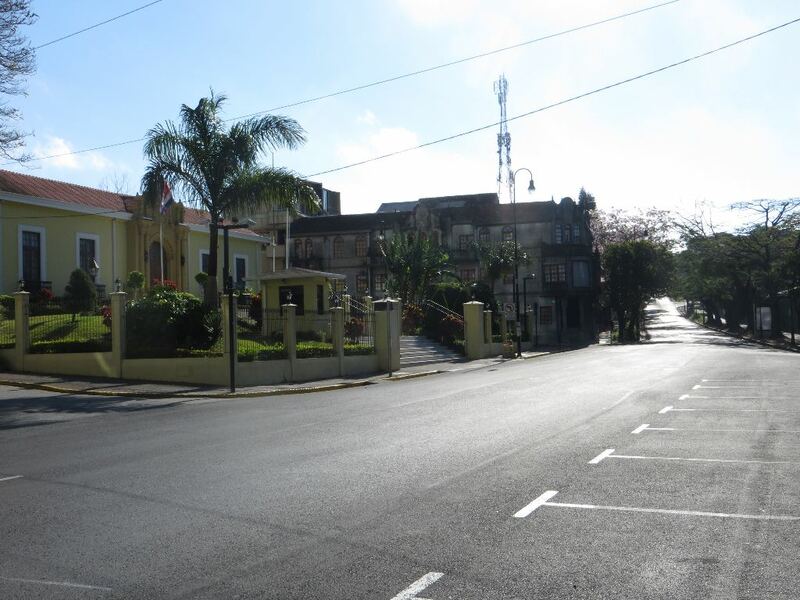 Avenida Segunda (Second Avenue) is the main thoroughfare through the center of San José. Usually jammed with cars, buses and trucks, it is hauntingly empty. Next articleWhat Is P-Phubbing And Why Is It Ruining Your Relationship?